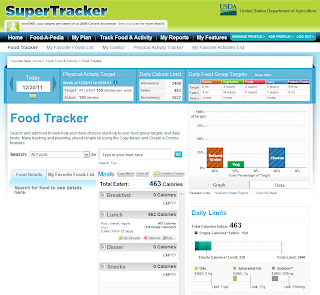 But here’s something I think is the coolest part of ChooseMyPlate.gov: USDA’s SuperTracker! 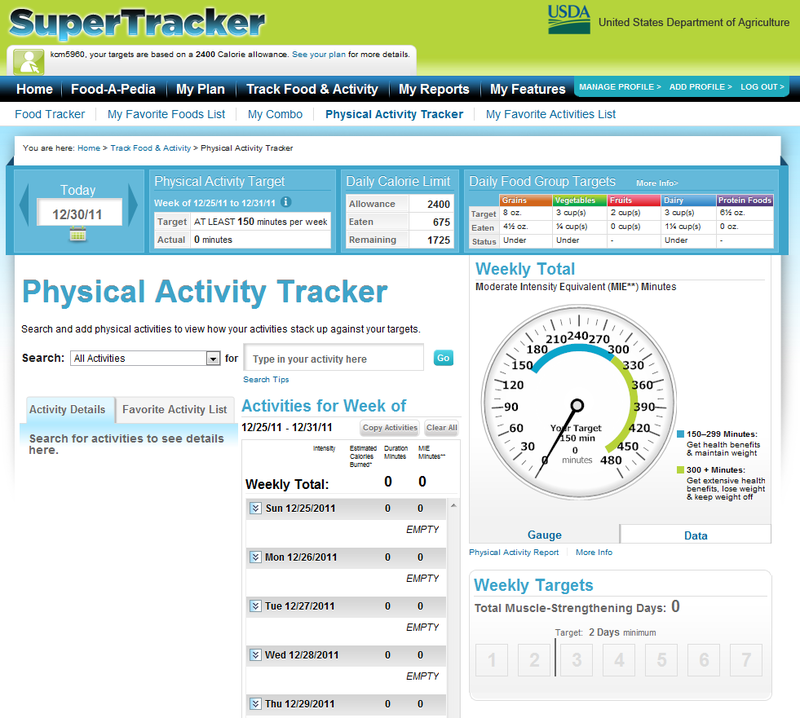 The SuperTracker can help you plan, analyze, and track your diet and physical activity. 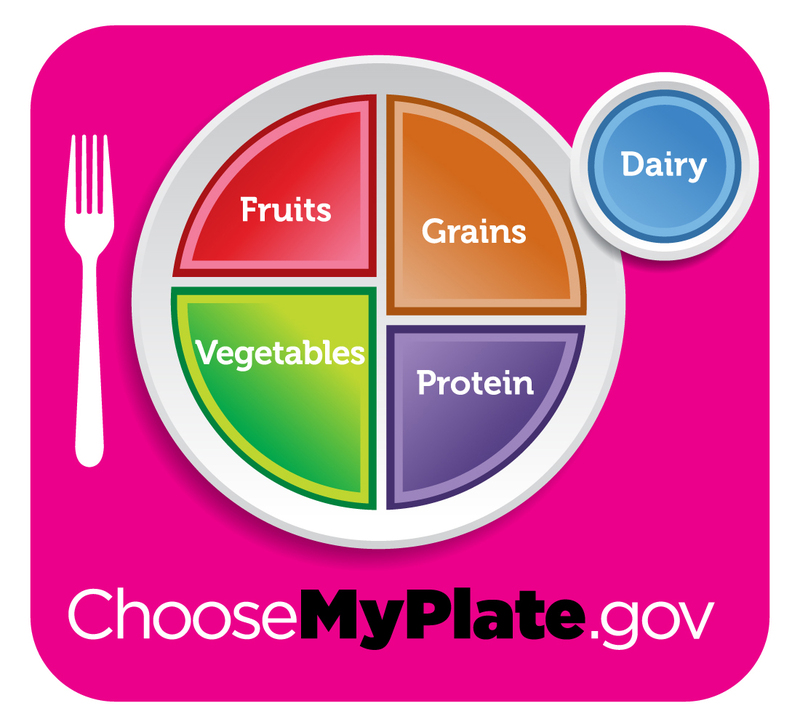 You can look up individual foods to see or compare their nutritional value, find recommendations for what and how much you should eat, compare your food choices to these recommendations and to your nutrient needs, and assess personal physical activities and identify ways to improve. Honestly, it seems to do all of that brilliantly. I’ve paid to use online weight loss plans before, where you track your food and activity, but at first impression, this FREE tool seems to click more for me. I’m loving the educational benefits of this – when you type in a food, you don’t just get a number back. You see how many calories of that food are empty calories, and how close you are to your daily allotment of empty calories. 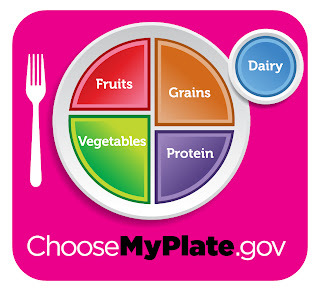 You see what percentage of each of the five main food groups that particular item fulfills. Everything is organized in a clear, easy–to–understand way. The plan customizes when you build your profile. I have it set up to lose weight, so it adjusted my target number of calories and empty calories for the day. 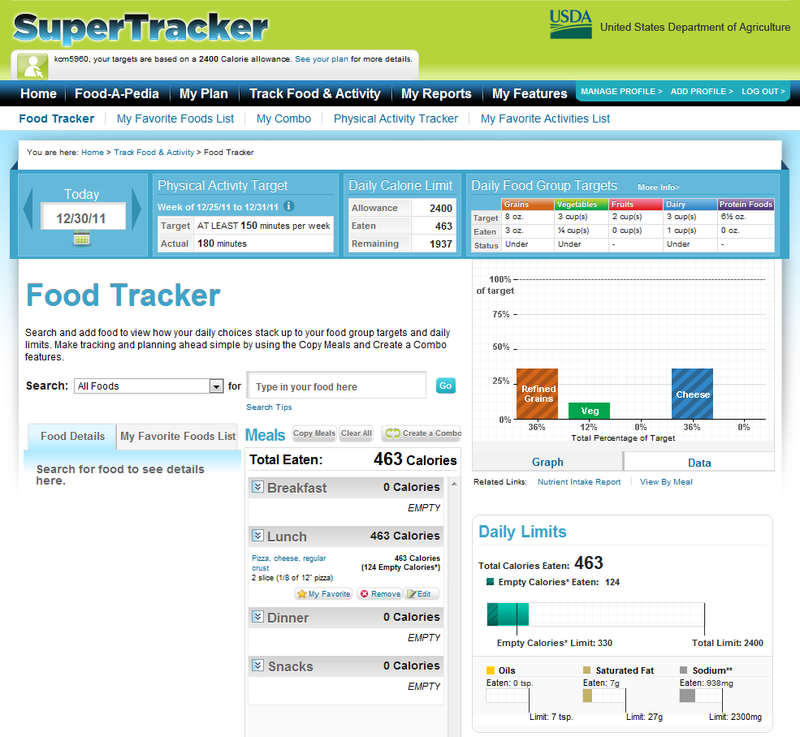 I also love that it tracks sodium, oils, and saturated fat as well. Those aren’t things I normally pay attention to, but I should, and now I can see them, easily. Plus, everything is color coded! Now, 150 Moderate Intensity Equivalent (MIE) Minutes is the goal for everyone, which sounds a little intimidating, especially if you’re trying to balance family and work. But have no fear, MIE minutes aren’t necessarily the number of minutes you spend on an activity; for example, 30 minutes of jogging equals 60 MIE minutes! So three jogs of 30 minutes each would give you 180 MIE minutes of activity! You’ve exceeded the weekly goal! Or, let’s say you spent 30 minutes scrubbing your floors at a high intensity – that’s 60 MIE minutes! There are ways to fit activity into your life. 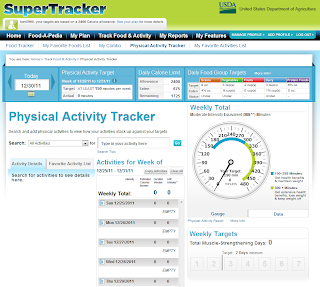 SuperTracker also has a place to set your goals, whether your goal is a certain weight, or amount of activity, calories, specific food group, or other nutrients. AND there’s a place where you can sign up to have e-mails come to you with helpful tips. I can’t speak to how well this works, because I haven’t had a chance to use it yet. But I will say that I’m super excited to use it.